Warning: Images in post may cause your mouth to start watering. 1. A six-piece bakeware set for getting you set up with the basics of what you need to make your favorite yummy treats — or perhaps you have all of this stuff already, and just wanna replace it or buy more! Set includes one 9x5 inch loaf pan, two round 9 inch cake pans, a 12-cup muffin pan, a 13x9 inch roast pan, and a 13x9 inch baking sheet. 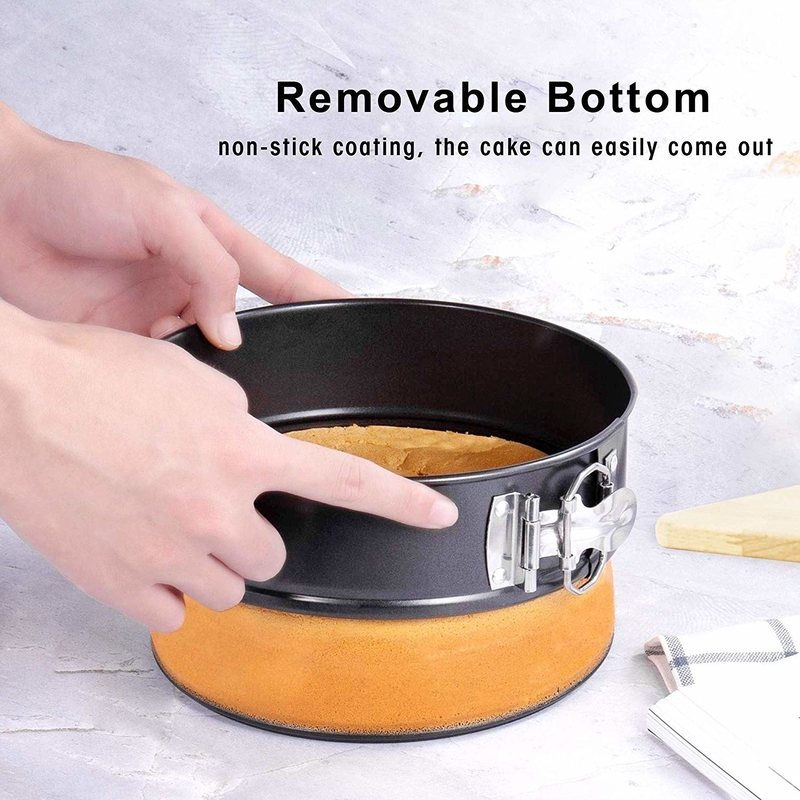 Bakeware is made of heavy-weight carbon steel for thorough, even heating, and non-stick coating to make releasing food and cleaning a seamless process. They're oven-safe in temperatures of up to 50 degrees F., and it's recommended to hand-wash only! 2. A three-piece glass mixing bowl set to prep your ingredients — it's gonna be difficult to pretend like you're not talking to the camera on your very own Food Network show once you have these. Set includes one 1 quart bowl, one 1 1/2 quart bowl, and one 2 1/2 quart bowl. Bowls are made of pure Pyrex glass and are microwave-, dishwasher-, preheated-oven, and freezer-safe! They won't stain, absorb yucky food odors, or catch left-behind flavors. Promising review: "We absolutely love these! They are a great size, and they have a good weight to them. They clean out easily, which is a huge improvement over my last mixing bowls. We only use these for mixing, so we haven't run into any issues with taking them from one extreme temperature to another. I do think it's worth noting, though, that it warns you not to do that right in the booklet that comes with the bowls. Clear as day, first page. We'll probably end up buying more and completely replacing our mixing bowls with these." —Orleana P.
3. 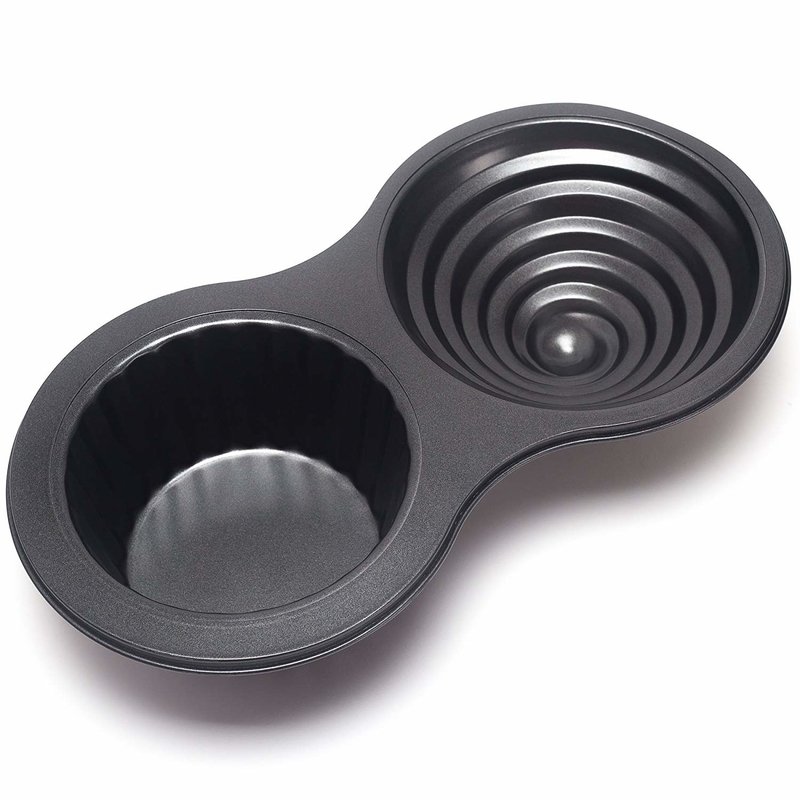 A reusable silicone baking cup set that'll provide a greener cupcake/muffin experience — your baked treats will be easy to take out of these cups, they can be thrown in the dishwasher, and no more wasting paper/foil cups! These food-grade silicone cups are freezer-, microwave-, oven-, and dishwasher-safe, and can withstand temperatures of up to 500 degrees F. Comes in the colors pink, orange, yellow, green, blue, and purple. 4. A 55-piece decorating tip kit for making your cakes, cookies, brownies, and more look like they were just purchased from some fancy schmancy bakery. This set comes with an assortment of couplers, flower nails round tips, star tips, leaf tips, drop flower tips, ruffle tips, basketweave tips, speciality tips, a cake icer tip, a grass tip, and a storage case. Tips, flower nails, and couplers are all top-rack dishwasher-safe! To clean the organizer case, wipe with a soft, damp cloth. 5. And while you're at it, a 21-piece Russian tip set to help you decorate treats worthy of winning ALL THE PRIZES. 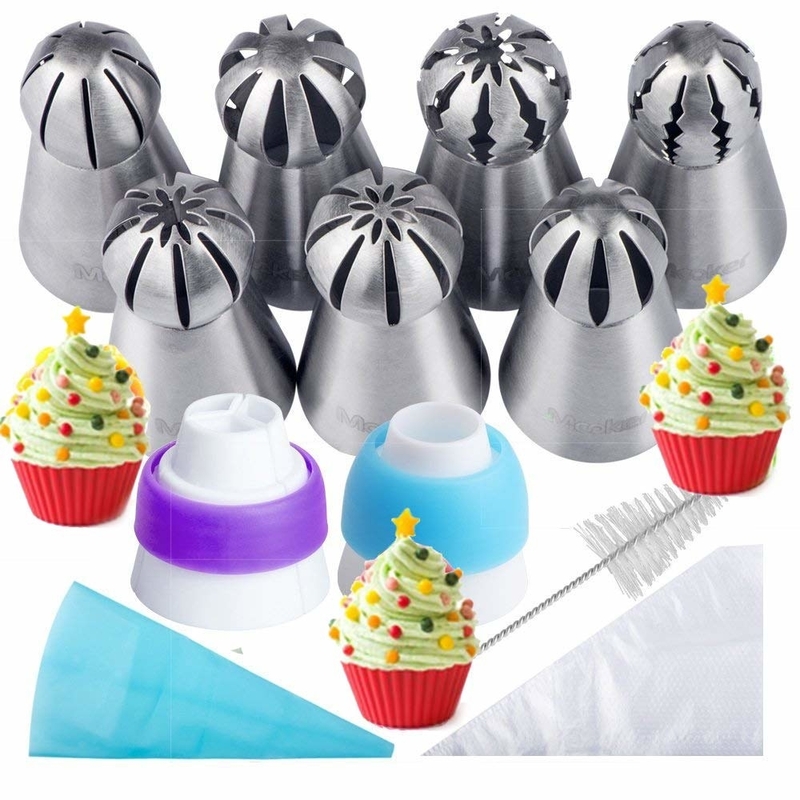 Set includes seven Russian tips, 10 disposable pastry bags, two couplers, one reusable silicone pastry bag, and one cleaning brush. 6. A KitchenAid stand mixer that'll ensure your baking hobby lasts for years to come, because, for real, this thing is gonna last you a heck of a long time, BB. 7. A two-pack silicone baking mats to help you spend less time wrestling cookies off the baking sheet and more time eating. The mats are made of nonstick silicone and don't require oil, cooking spray, or parchment paper. They're oven-safe in temps of up to 480ºF, fit in half-sheet-sized pans, and are top-rack dishwasher-safe! 8. 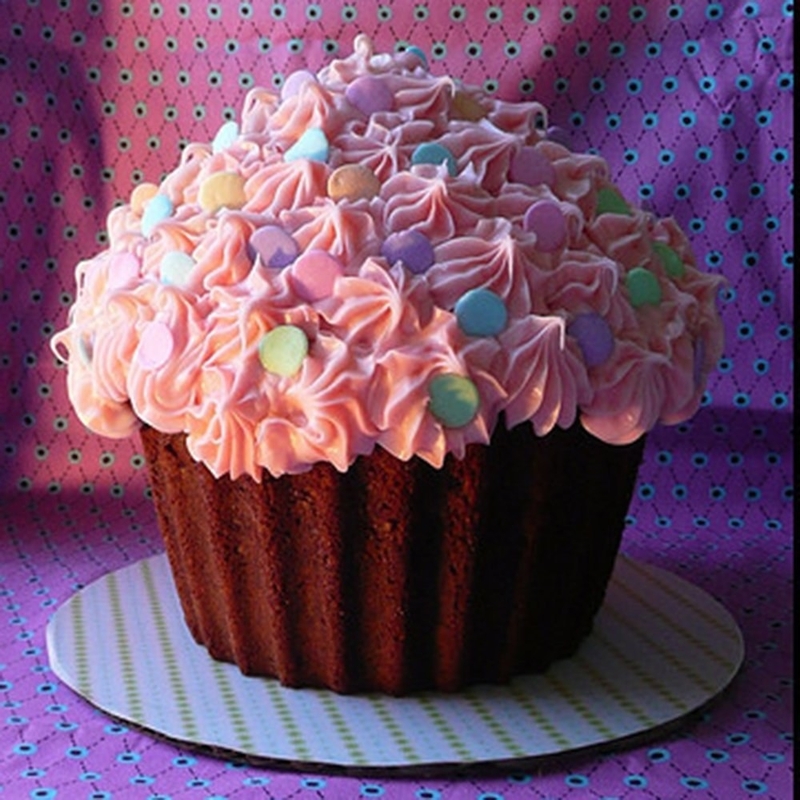 A giant cupcake pan so you can make cake-sized versions of what is typically a miniature cake treat. We stan cupcakes of all shapes and sizes here. 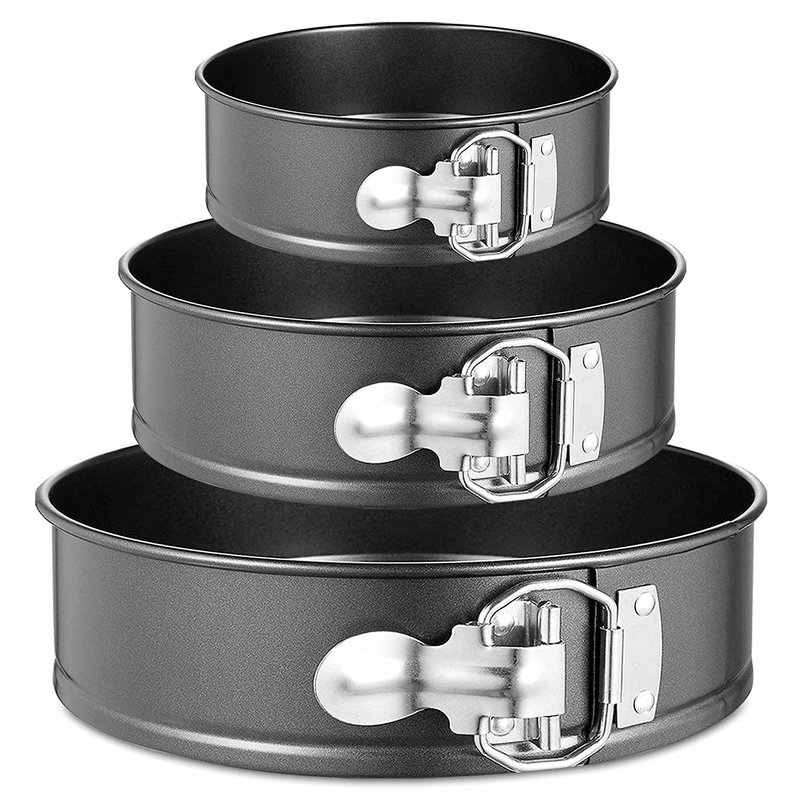 This is made of non-stick coating, PFOA-free heavy-duty high carbon steel, and is dishwasher-safe! 9. A cooling rack to provide your freshly baked treats an appropriate spot to cool off before it's time to get to the fun part — CHOWING DOWN! This cooling rack is oven- and dishwasher-safe! 10. An automatic bread maker that'll help you whip up fresh breads, cakes, doughs, croissants, and even jams! Because baking those things in the oven is sooo last year. This machine has 12 settings: French, quick bread (no yeast), sweet, 1.5 pound express, 2 pound express, dough, jam, cake, whole grain, and bake. Allows you to select your loaf size and between a light, medium, or dark crust setting. Includes an interior pan and two kneading paddles that are all dishwasher-safe! 11. 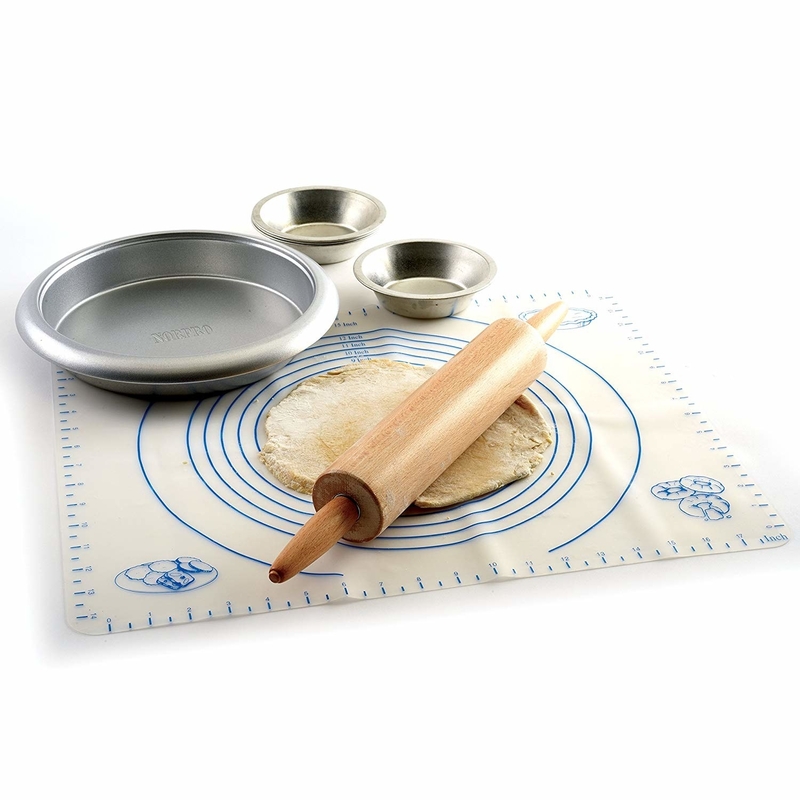 A silicone pastry mat with measurements for knowing you're rolling out your dough to be the perfect size, no matter what kind of treat you're making. Plus, this thing doubles as a baking liner, too! 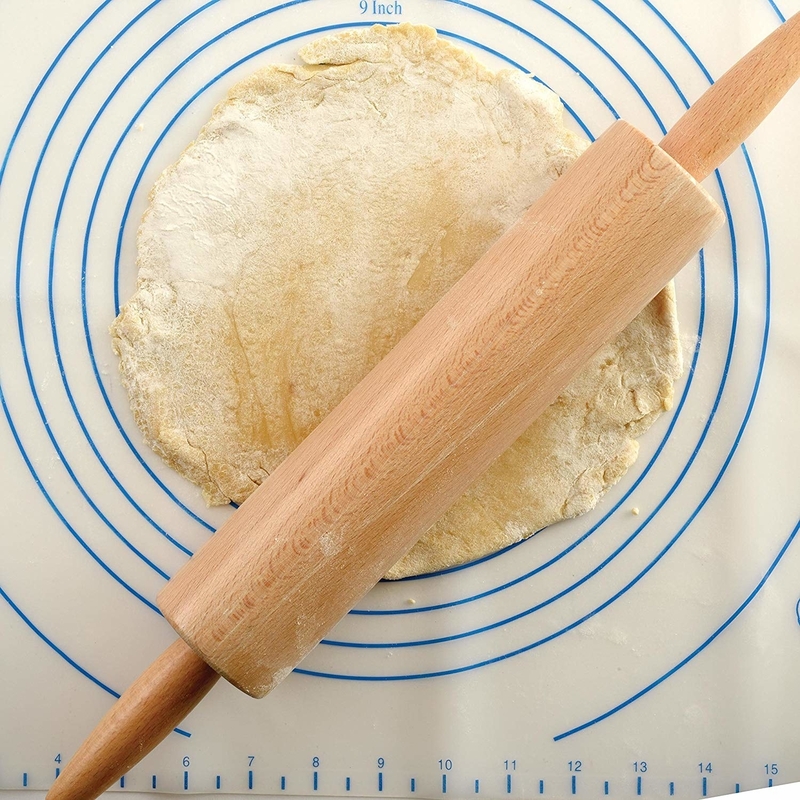 Allows you to measure dough/crusts from 6 to 15 inches! It features marked, easy-to-read measurements, and is made of flexible, non-stick silicone that offers instant, easy release without the use of grease. It also helps to keep moisture in, without retaining odors. It doubles as a baking liner as well! It can withstand temps. of up to 450 degrees F, is FDA-approved, and dishwasher-safe! 12. 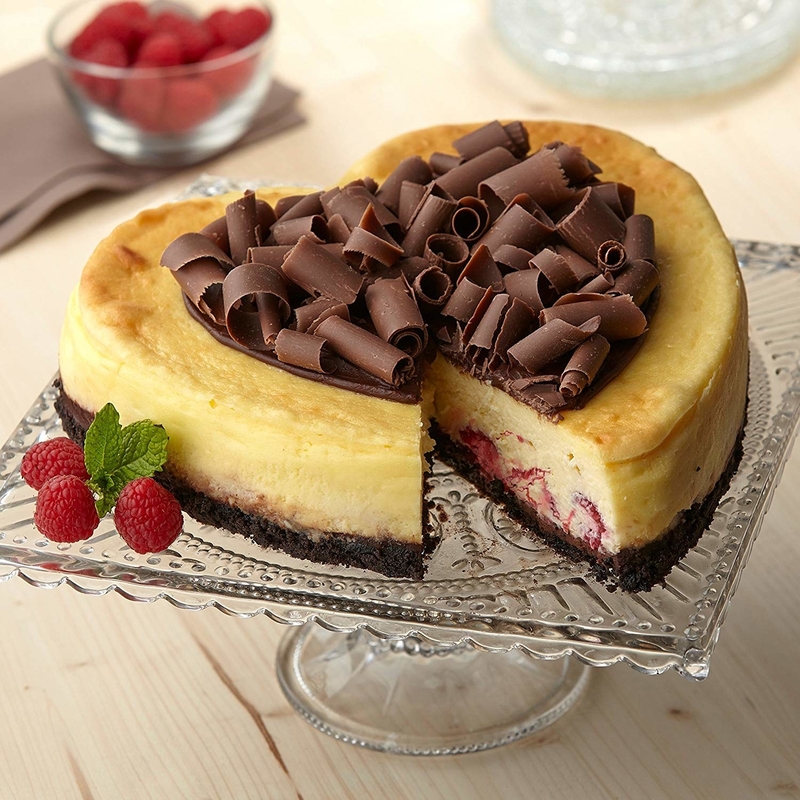 A three-piece springform pan set to help you bring your dreams of making three different-sized cheesecakes, or perhaps one ginormous three-tier cheesecake... yummy! Set includes 7, 9, and 11 inch pans, 50-pieces of parchment paper, one icing smoother, and a washing sponge. They're microwave-safe, as well as dishwasher-safe, ALTHOUGH, it is highly recommended to wash by hand! 13. 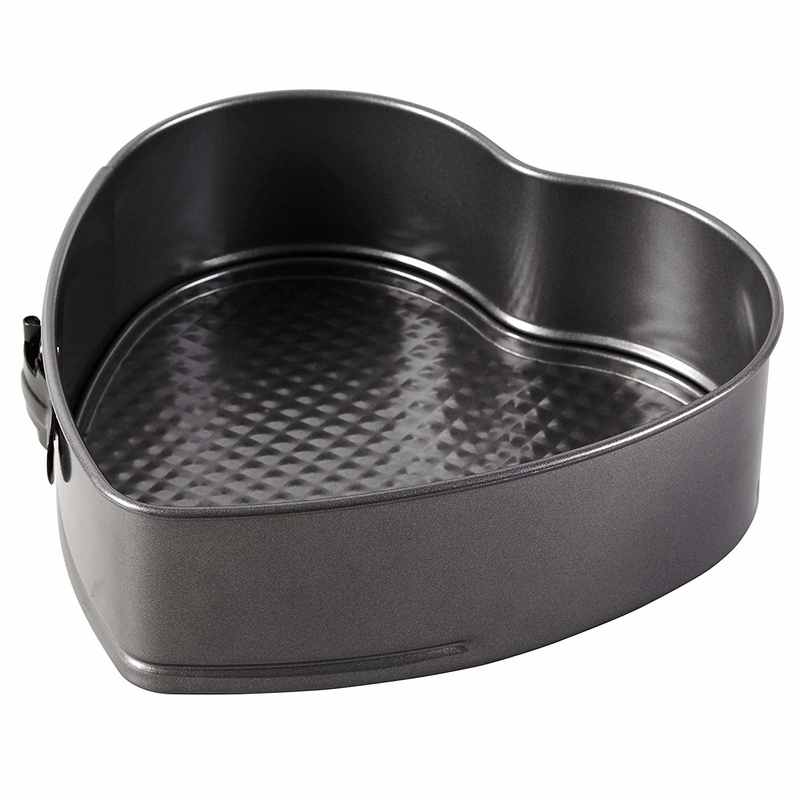 Or a supes cute heart-shaped springform pan so you can truly show off just how much you LOVE your cheesecake... by making it heart-shaped! Made of reinforced non-stick coating for easy release and clean-up! This is dishwasher-safe, however, it's recommended to wash with warm, soapy water before first and after each use for best results! 14. 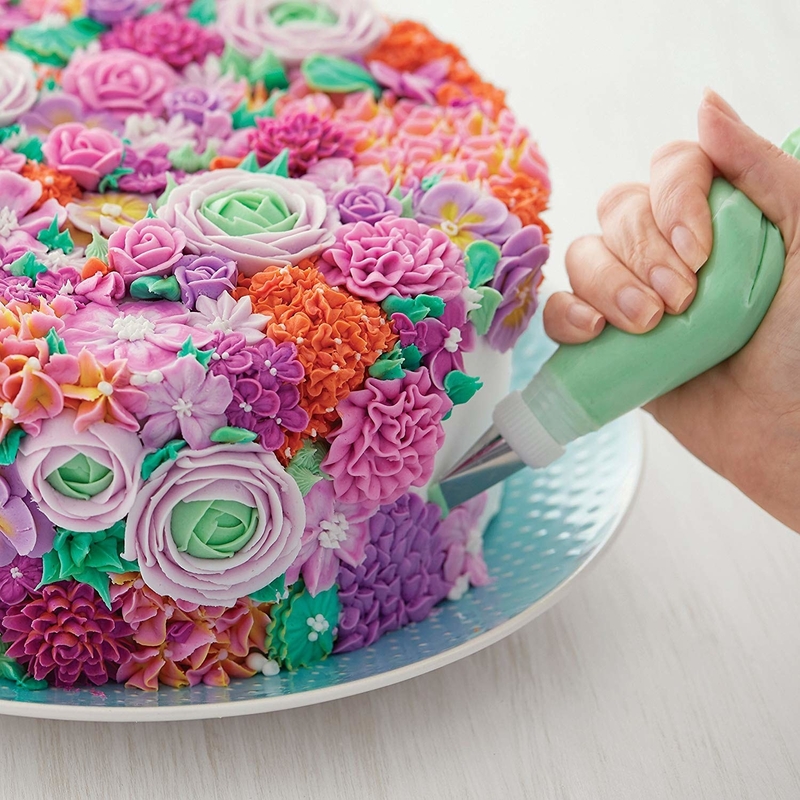 A decorating tool that'll help even the most beginner bakers look as if they just opened their own five-star bakery. Comes with four decorating tips, a fill tip, and two couplers, however this decorator can also be used with most standard Wilton tips! The cylinder, bottom ring, tips, and couplers are top-rack dishwasher-safe, while the plunger assembly must be hand-washed. 15. 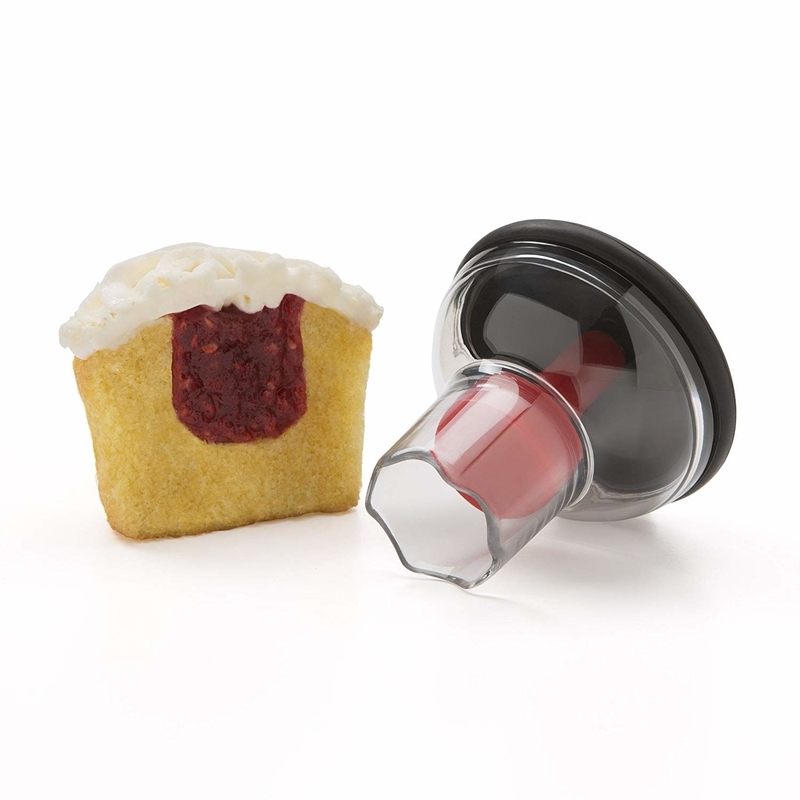 A 48-cup mini muffin tin that'll help you make teeny, tiny little treats, because if they're that small, it's perfectly acceptable to eat like, three times the amount at least, right?! This pan is made of non-stick coating steel. It is dishwasher-safe, however, it's recommended that for best results, you should wash in warm, soapy water before first and after each use. 16. A cookie cutter set filled with 101 shapes and letters so you can take your cookie baking to a whole new, fun level, and make it something the whole family can get excited about! Includes shapes for Valentine's Day, Easter, Fourth of July, Halloween, Christmas, Super Bowl Sunday, letters of the alphabet, and more! These are dishwasher-safe! 17. 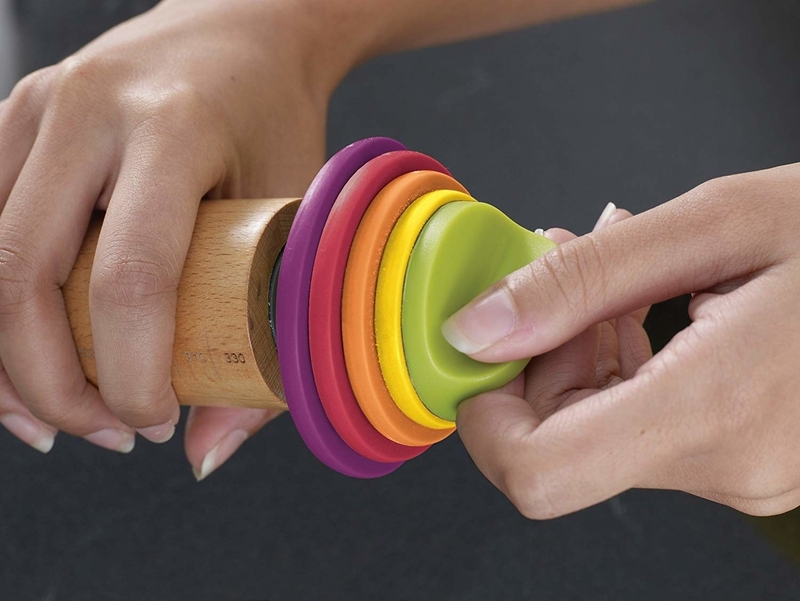 An adjustable rolling pin with removable rings to assist in helping your roll dough for anything you wanna bake to the desired thickness! Includes 1/16, 1/6, 1/4, and 3/8-inch removable discs. It's recommended to hand-wash this! 18. A three-tier cupcake tower so can present your cupcakes, or other treats like cookies, pastries, brownies, etc. look nice and neat when putting them out on the dessert table. Each plate can be freely assembled — this could also be set-up as a two-tier tower. Overall, it can about 12 lbs. 19. A two-pack of donut pans that'll bake-up everyone's fave circular treats right from the comfort of your own home, without having to change out of your pajamas. These are made of non-stick coating steel and are dishwasher-safe, but for best results, it's recommended to wash with warm, soapy water before first and after each use. 20. 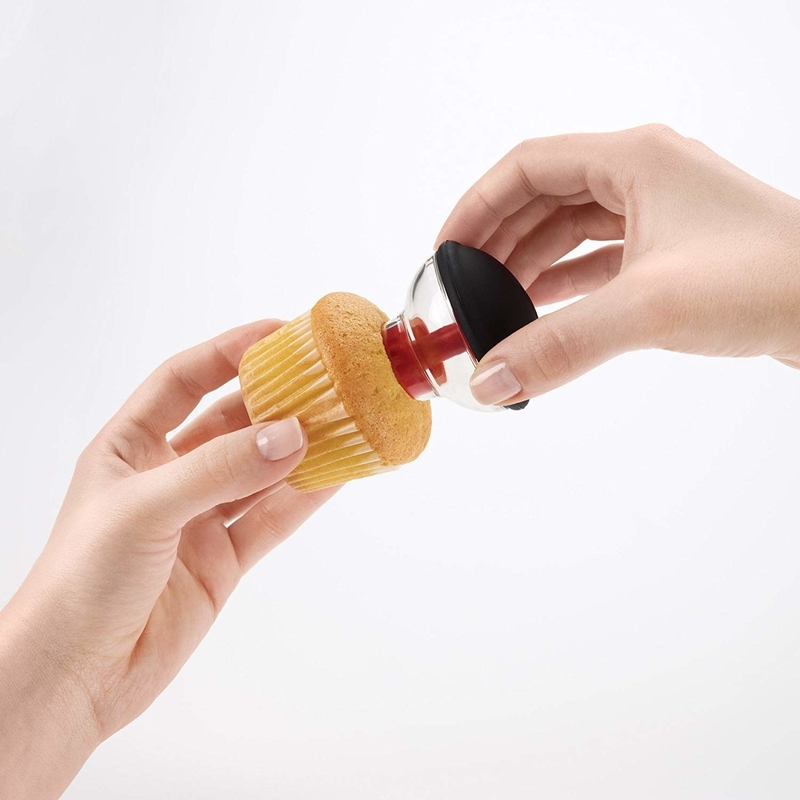 A cupcake corer for punching holes into the little guys so you can fill them up with delicious fillings like jellies, cream, nut butters, or anything, really! Features a soft, non-slip grip and a large handle! This is dishwasher-safe! 21. An airbrush decorating kit for making your treats something the Cake Boss himself would be proud of, which is good, this handy device is from his product line, so you know it's legit. Features three adjustable levels! Kit includes a rubber hose, plastic dropper, special nozzle wrench, adaptor, case, and an instruction book. 22. A pack of ceramic pie weights that'll help your pies heat evenly, because no one ever got excited over a pie that was a little too burnt anywhere. These are made from natural-food-safe ceramic stoneware, and are heat-resistant to temps. of up to 480 degrees F. To clean, just wipe with a dry cloth, or you can hand-wash in warm, soapy water and dry thoroughly. 23. A pack of edible gold stars so you can make your treats look absolutely gorgeous, while patting yourself on the back for your gold star-worthy decorating job. These are certified kosher! FYI — these are made on equipment that also process soy. 24. 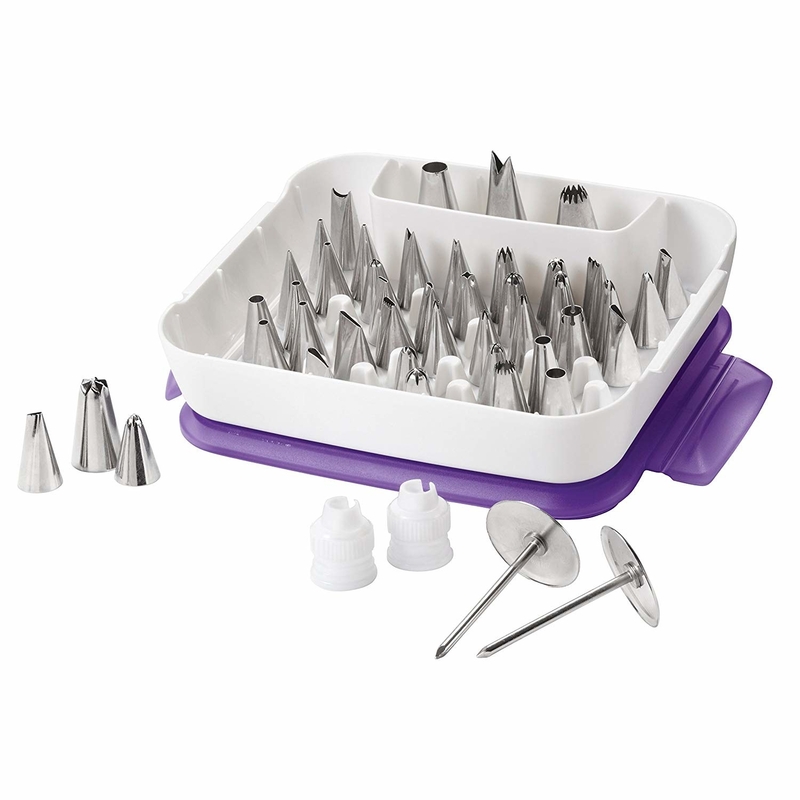 A mini cake pop maker for whipping up what is the best dessert to ever exist, don't @ me on this one, this is the hill I'm gonna die on. This makes nine cake pops at a time! It features non-stick baking plates, a power light, a latching handle, and non-skid rubber feet! 25. Or a cupcake maker, because the only dessert that can truly have the same greatness as cake pops, are cupcakes, and that's that on that. 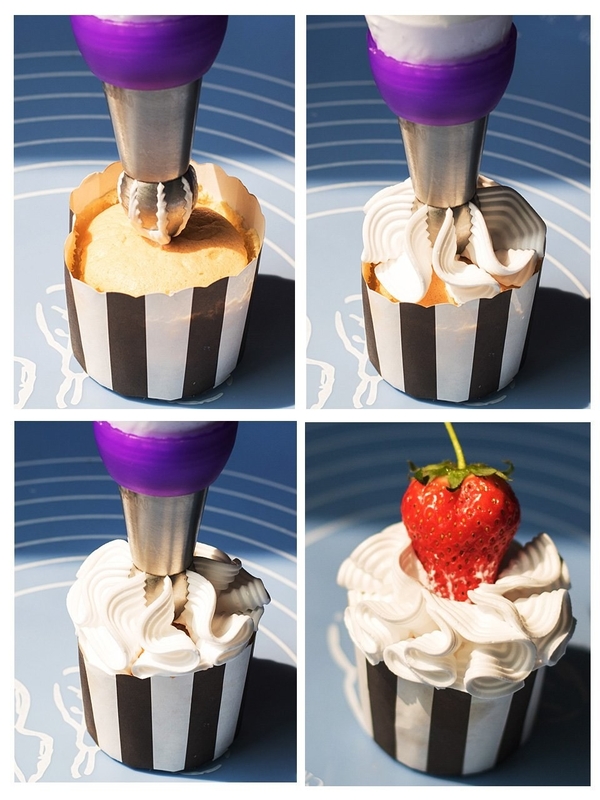 Bakes 12 full-size cupcakes at a time. Features power and ready lights, a latching lid, and non-stick baking plates. 26. A three-pack of silicone spatulas to make mixing batter, folding dough, scraping the bowls, decorating your baked treats, and more feel easy, peasy, lemon bar, squeezy. This three-piece set features a small spatula designed to scrape jars and easily spread condiments, an all-purpose spatula great for mixing batter, folding dough, and scraping the mixing bowl, as well as fluffing up batter or eggs without damaging dishes and cookware, and a spoonula (half spoon and half spatula) for mixing, folding, serving, and scraping. These are heat-resistant to temps of up to 500 degrees F, and are also stain- and odor-resistant.